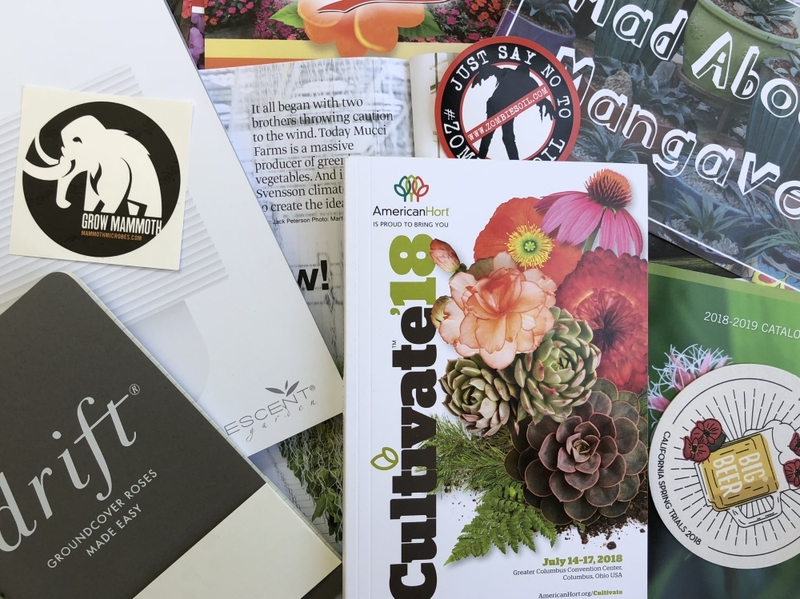 Today marks the last day of Cultivate, “THE” horticulture industry trade show for growers, retailers, educators, designers and everyone in-between. I saw THE, because it brings horticulture leaders from around the world and fills the entire convention center floor. Yesterday it took us over five hours to walk the 3 plus miles of rows. The annual show is held here in Columbus, we are so fortunate that the show brings so many industry giants to our hometown. 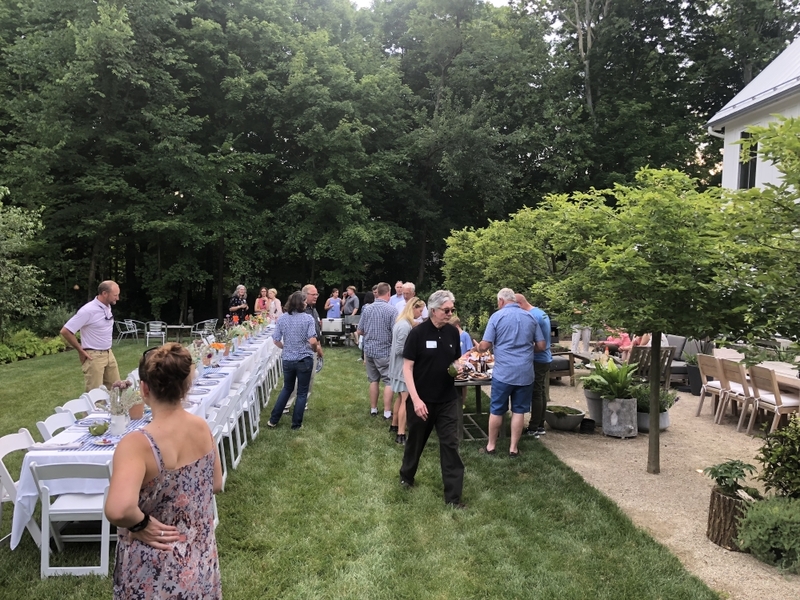 This year we kicked off Cultivate weekend with a dinner party at my house to mix together a few of our friends in town for the show. What we enjoyed most was getting folks outside of the convention center, in the garden with good drinks and food. It was one guest’s first time seeing fireflies and our resident wild turkey family make a surprise appearance too. The evening was wonderful, and will make it an annual event either at home or somewhere else around Columbus. Cultivate combines trade show, classes, speakers, tours and networking over the course of 4 days during July. 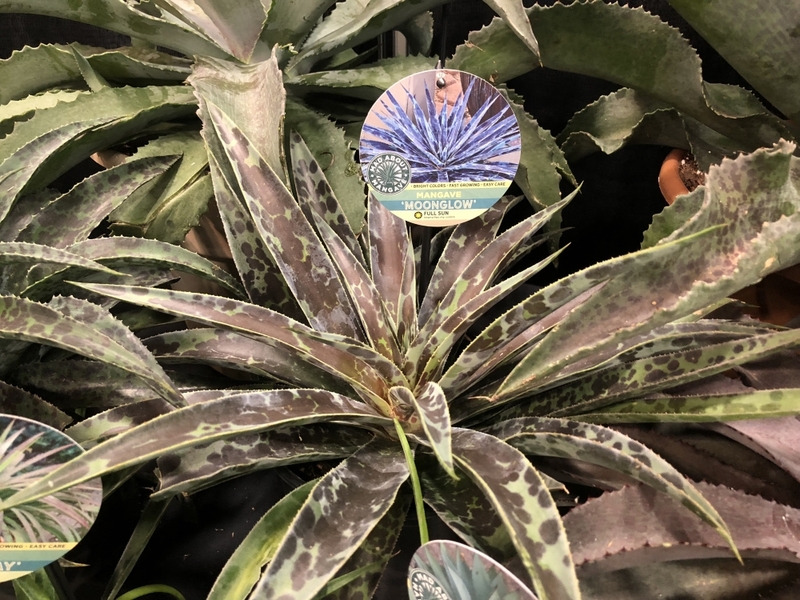 The vendors at the trade show are a mix of greenhouse production, direct to consumer retail products and lots and lots of plants. 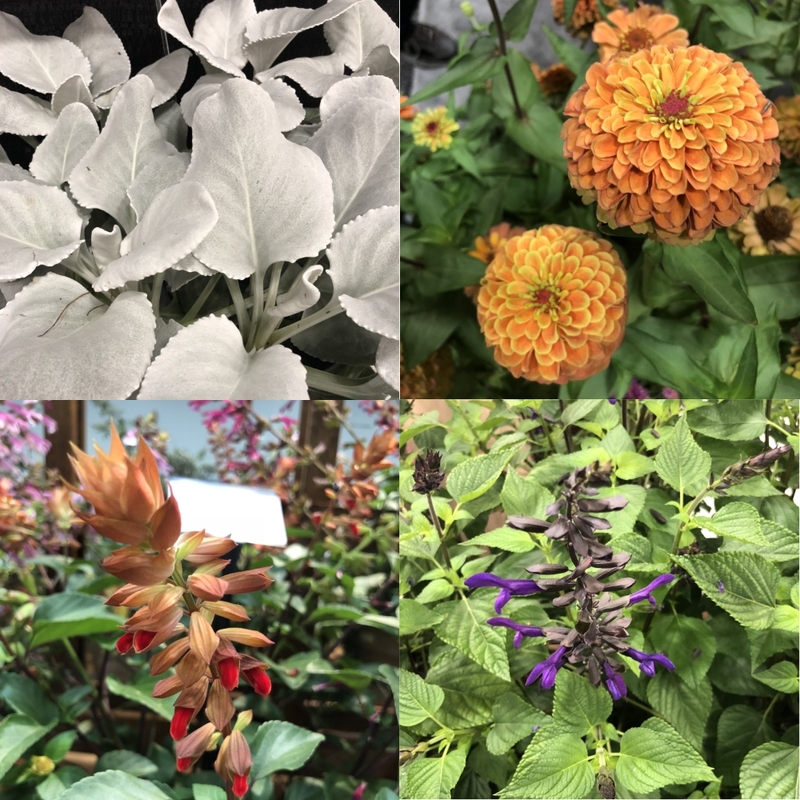 As a garden designer I walk the floor looking for new plants, containers, tools for our nursery production and network with exhibitors and those walking the floor. In walking the floor this year, here are some of the items that I found interesting or cool. First and foremost my eye is wandering over all the plant varieties. Some are new introductions, others are items I may not have noticed previous years. (Top Right) Senecio candicans Angel Wings® is a 2018 production introduction from Emerald Coast Growers and was the biggest plant on Instagram this year. Its large white/silver leaves are similar to a lamb’s ear but the plant feels almost ghostly. It is a tender perennial hardy to 23⁰ F. Will be ordering for next year to use in annual containers. Zinnia Queeny Lime Orange is a 2018 All-American Selections winner for 2018. It is a beautiful bright orange mixed with the lime green center. With the resurgence of cutting gardens as focal points, this is a zinnia pairs so well with dahlias both in the garden and in vase. Rockin’ ® Deep Purple Salvia from Proven Winners is a both a bright purple and a moody deep almost black in one flower. I am going to be ordering this along with the Rockin’® Fushia Salvia to also use in containers for next year. Salvia Skyscraper ™ from Selecta is another savlia I am planning to use next year in containers (lots of salvias and container plants). The flowers are an intense true orange, without reading as red (my least favorite color). Another plant selection I am excited to order and try more dry condition containers are Mangaves. They are a cross between manfedas and agaves and come in some crazy leaf patterns. My top favorites are Selecta and Mangave ‘Moonglow’. Since I think every garden should incorporate containers, they are another favorite of mine to find new sources or designs. 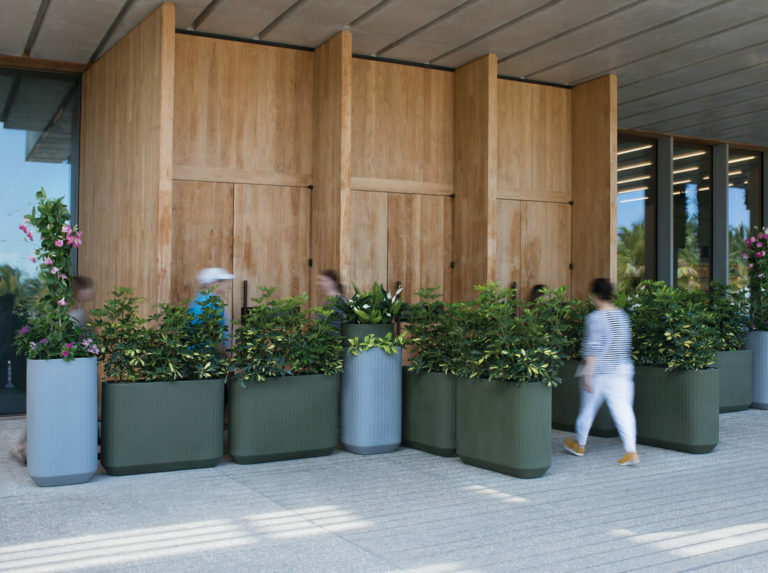 This year Crescent Gardens has a collection of Mod Planters that are able to stack to create unique shapes and combos. I love the soft fluting and colors. Not to mention their TruDrop System that allows up to 6 weeks of water to be included in the reservoir to add in forgetful waterers. 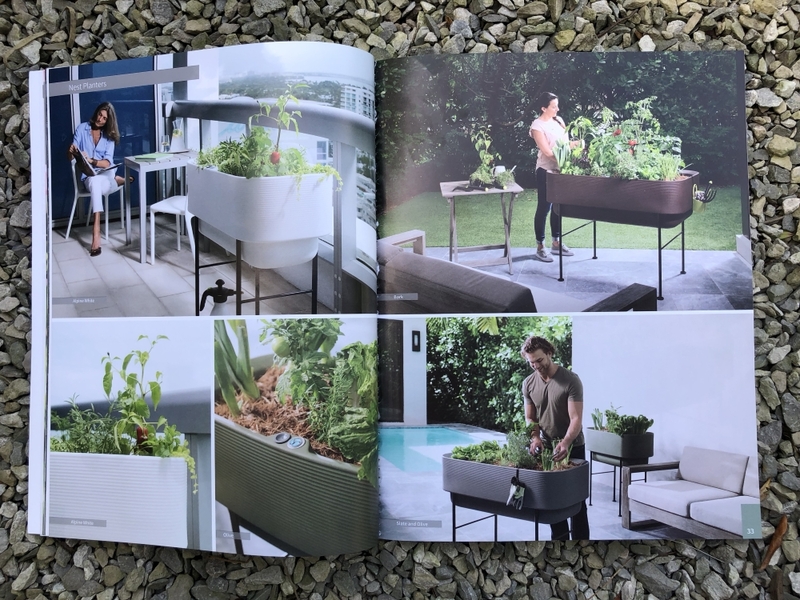 Another favorite new introduction are the Nest Planters, which are the most attractive elevated planters I have seen, ever. Their catalog shows with edibles, however it could be a great entry container filled with welcoming annuals. I will be ordering one in the 30×48 size in Olive Reef. 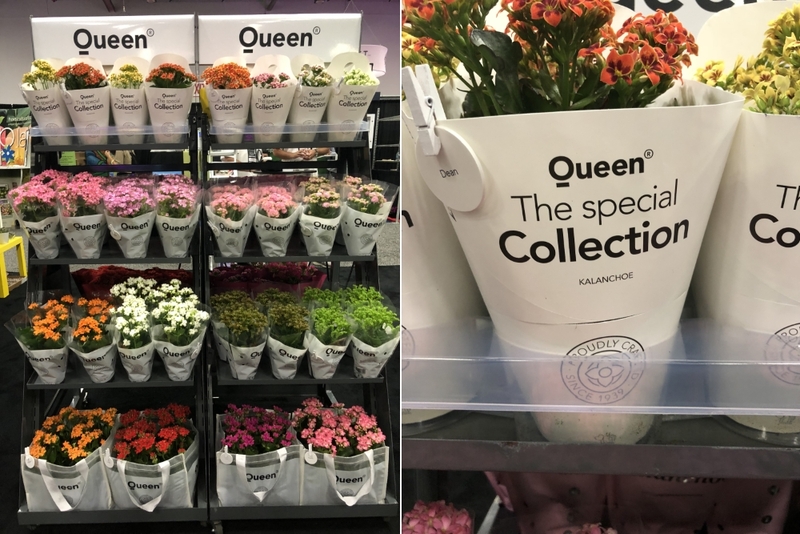 Queen Genetics had a stop you in your tracks merchandising display and packaging for their MoreFlowers™ collection. It was clean and simple, and immediately impactful. Queen was the leader in a trend of cleaner packaging and marketing I noticed walking the floor. I am excited to see the retail nursery industry move towards this edited point of view, not being everything to everyone. Other brands that were showcasing cleaner design included Pindstrup soils in throwback yellow, brown and green packaging and Mammoth Microbes in clean white, black and gold design. I know there are other great items I am forgetting, and my desk is stacked with catalogs and brochures for me to read and mark up for ordering. I am so thankful that such a great conference and trade show in located in my backyard. I spent the past three days connecting with some amazing people who are both friends and folks I admire. Let me know if you plan on attending next year or have any questions in case you are on the fence, I would be happy to answer. This entry was posted in Advice, annuals, GARDEN DESIGN, Ohio and tagged All-American Selections, central ohio, Columbus, Crescent Gardens, Crescent Gardens TruDrop System, Cultivate, Cultivate18, Cultivate19, garden design, garden tour, gardening, gardens, landscape design, Mammoth Microbes, Mangave ‘Moonglow’, Mod Planters, Ohio, perennials, Pindstrup soils, Plant Combos, Proven Winners, Queen Genetics, Rockin’ ® Deep Purple Salvia, Rockin’® Fushia Salvia, Salvia Skyscraper ™, Selecta, Senecio candicans Angel Wings®, TruDrop, Zinnia Queeny Lime Orange by Nick. Bookmark the permalink. I agree on the high containers. You get to see the plants in much more detail when they are closer to eye level and don’t have to rely on “thrillers” only.